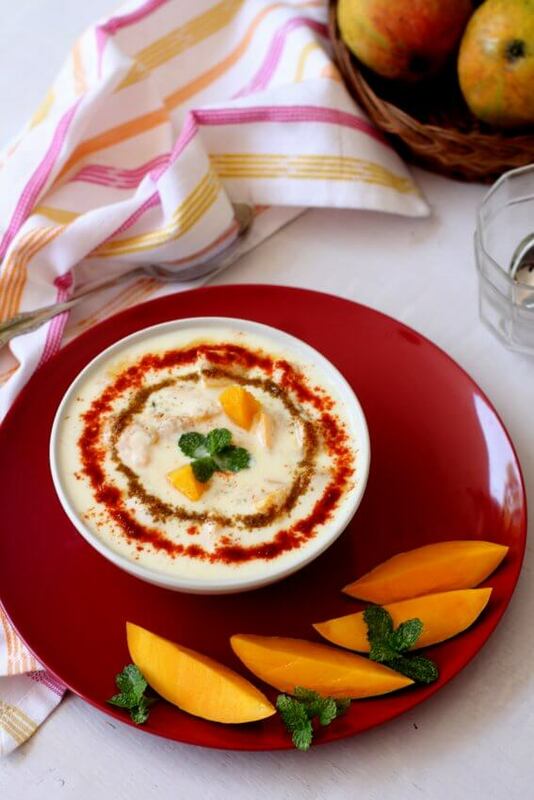 Mango raita recipe,a quick yogurt chutney or dip made with ripe sweet mango, curd (dahi) & Indian spice powders.Aam ka raita is the best among raita recipes [...] Read More... The post Mango raita recipe appeared first on Indian food recipes - Food and cooking blog. ..